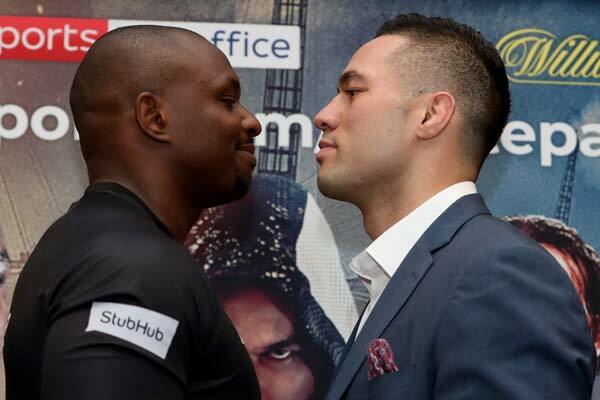 Below are quotes from the final Dillian Whyte vs. Joseph Parker press conference ahead of Saturday night’s action at The O2 in London, shown live on Sky Sports Box Office. Dillian Whyte: “Joseph is a fighting man, that’s his heritage, but he’s short of options. He could have gone to USA to fight Bryant Jennings for a small purse and no attention or come to the UK in front of a sell-out crowd and get better pay and a more prestigious fight. He’s motivated – he knows beating me gets him close to another shot at AJ, so that’s what makes him dangerous: “if I do Dillian, I’m back in the big time again” – but he’s got to get past me first. Dereck Chisora: “Carlos took AJ rounds, he’s a tough guy so this is no walk in the park – it’s a marathon. He goes rounds with good fighters so I know that I’ve got 12 rounds ahead of me. They asked for this at the beginning of the year but there was no right slot for it at that time. I know it’s going to be a long night, there’s no two ways about it. I didn’t learn anything from his AJ fight as he was fighting a different game than he’ll bring tonight, I just want him to be in front of me so we can have a good time.